A new study shows that spinal cord compression causes changes to the function of the brain. The study involved 24 patients with reversible spinal cord compression and 11 health controls. The researchers were looking at the how the brain responds to the injury in the spinal cord, and if the brain wass able to compensate for injury. The researchers were able to look at the MRI scan to determine what functions changed in their brain after the spinal cord injury. The overall goal was to determine the levels of the chemicals in the brain and if they differed from spinal cord injury victims. Researchers are still trying to determine the changes they observed occurred over time. However, the research is showing some proof of possible reversibility through surgery. Automobile accidents cause 42.1 % of spinal cord injuries. More than 11,000 people suffer a spinal cord injury each year in the United States, while some victims will experience a full recovery, others will be completely and permanently paralyzed. 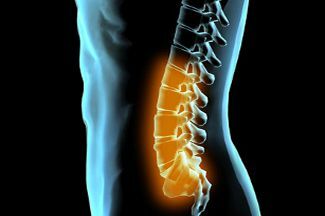 Car accidents are also frequently the cause of other serious back injuries such as a herniated disc. The lawyers at Davis Law Group are here to help tell your unique story. Call our office today to schedule a free, no obligation consultation. We are available 24/7 at (206) 727-4000.